1. Install the Coil Pack Retrofit in a dry location close to the ECU. 2. 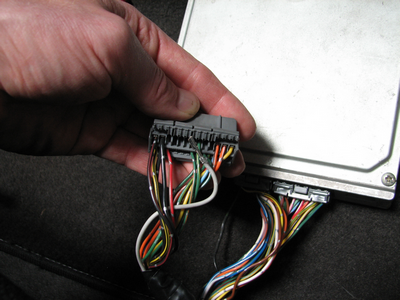 Remove the ICM (DIST) wire from the ECU connector (OBDI A22, OBDII-A A20, OBDII-B B13). Insert the Coil Pack Retrofit ICM wire (orange) into the connector cavity in the same place. 3. Remove the ALTC wire from the ECU connector (OBDI A16, OBDII-A A19, OBDII-B C2). Insert the Coil Pack Retrofit SYNC wire (white/brown or purple) into the connector cavity in the same place. 4. Solder the Coil Pack Retrofit power (OBDI A25, OBDII-A A11, OBDII-B B1) and ground (OBDI A23, OBDII-A A10, OBDII-B B2) wires into the ECU power supply close to the ECU connectors. Use soldered connections - do not use 'T taps' or crimps. 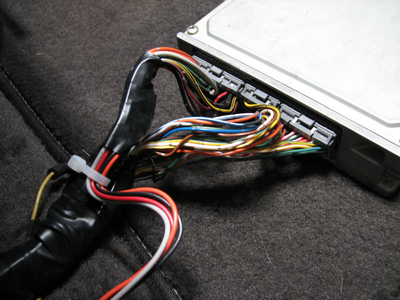 Do not wire the Coil Pack Retrofit ground wire to the chassis or ECU case. 5. Run the coil pack connectors through the firewall to the distributor. 6. 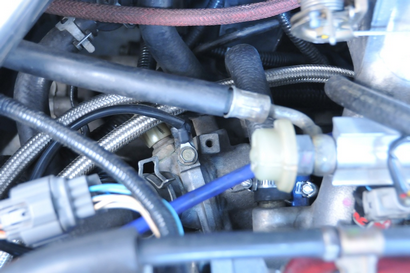 Connect the Coil Pack Retrofit TACH signal wire to the distributor TACH output (purple wire (harness variation A) or green wire (harness variation B)). 7. Remove the ICM wire from the coil. 8. Connect the coil grounds (black with ring terminal) to the stock ground location on the thermostat housing. 9. Connect the Coil Pack Retrofit power wires (black/white stripe wire (harness variation A) or yellow wire (harness variation B)) to the stock coil power wire (normally black with yellow stripe).